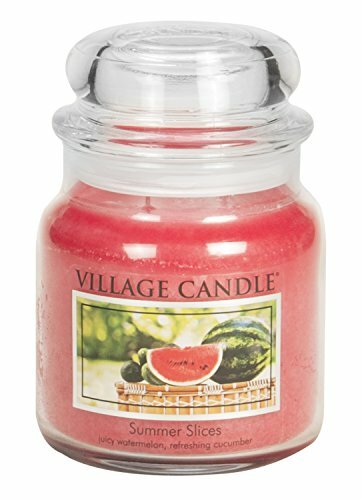 With This Candle, Crisp Cucumber Meets Juicy Watermelon To Release A Scent So Cool And Refreshing You Won't Believe It Started With A Flame. Village Candle's More Than 75 Fine Fragrances Provide The Best In Home Decor With Their Ability To Enhance Life's Moments And Add Ambiance To Any Living Space. Treat Yourself To Village Candle, Because You Deserve The Best. If you have any questions about this product by Village Candle, contact us by completing and submitting the form below. If you are looking for a specif part number, please include it with your message.